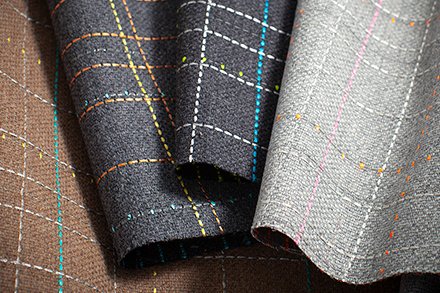 Pairing heathered, earthy wool with a variety of conspicuously man-made, experimental fibers, Tech Weave harnesses the powerful combination of natural versus man-made in a single textile. 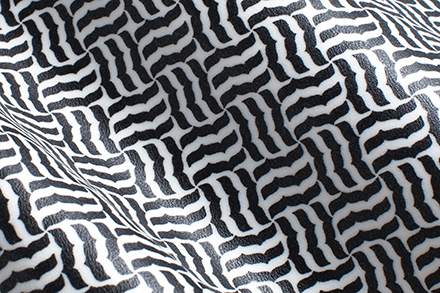 Available in 4 colorways, this pattern is the latest addition to The Graphic Collection by Emanuela Frattini Magnusson. 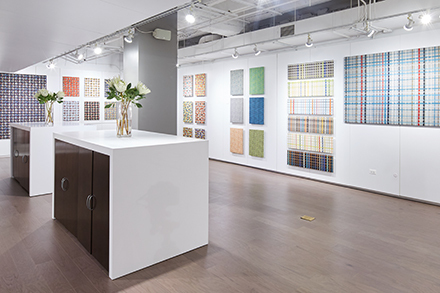 The Graphic Collection consists of 6 patterns that will enhance communal and alternative workspaces by infusing them with graphics, textures and color combinations that are designed to connect with people emotionally at every moment in their journey. 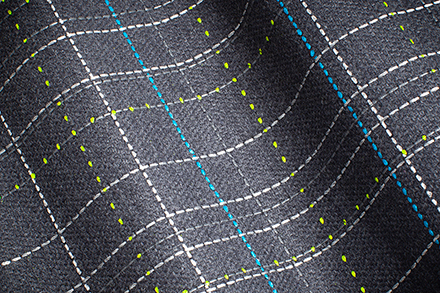 By incorporating a variety of textures and unique yarns, this collection deliberately heightens differences in sensory perception which has been proven to foster innovation and creativity. 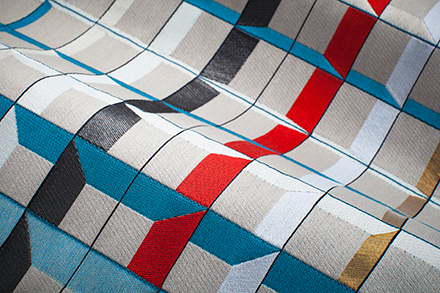 This artisan textile allures the eye and the hand alike through the juxtaposition of natural versus man-made. 4 colors | 55,000 D.R. 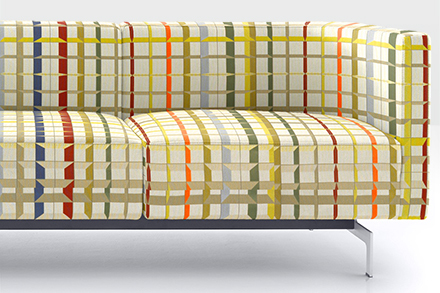 This extra-large scale plaid with multi-color gridwork creates the perspective of a three-dimensional drawing. 9 colors | 100,000 D.R. 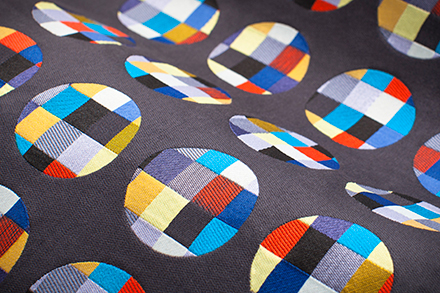 Exploring the polka dot, Emanuela imagined cutting dots out of a fabric to reveal a colorful check layered beneath. 7 colors | 100,000 D.R. 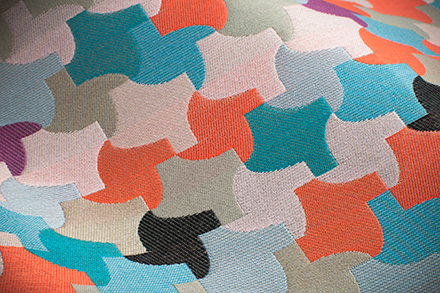 Emanuela’s reinterpretation of the houndstooth creates an entirely new interlocking shape. 7 colors | 75,000 D.R. A classic check motif with a nod to typography. Instead of bars Emanuela's checks are made of brackets. 13 colors | 87,000 D.R. 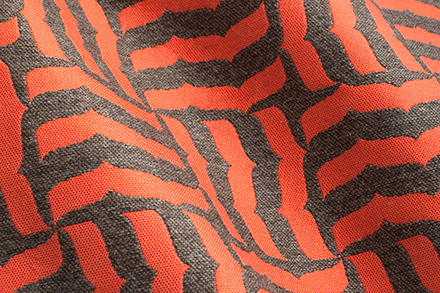 A miniaturized version of the motif used in Parentesi, this pattern provides endless coordination possibilities. 7 colors | 500,000 D.R.